Mountain Creek Lodge situated on the R536 Hazyview / Sabie road. An adventurer's paradise situated only 20km from the Kruger National Park. 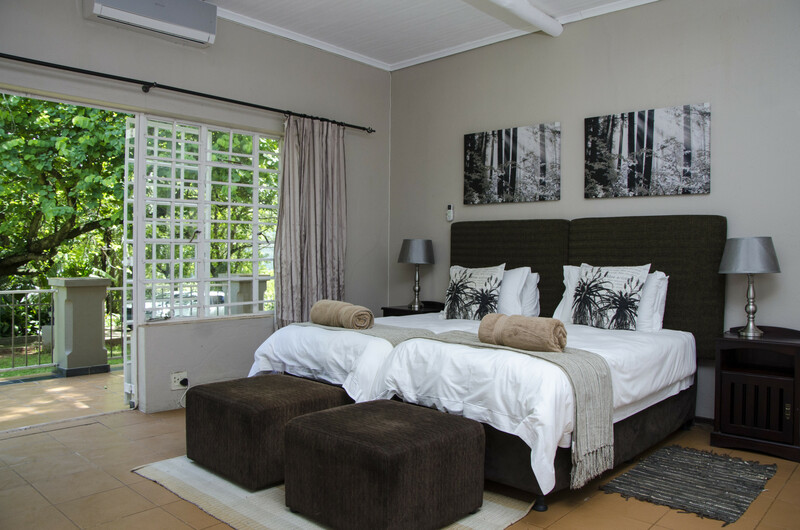 Mountain Creek Lodge is situated in the mountains of the Sabie River Valley. An adventurer's paradise situated on the Panorama route. The indigenous bush, soft sounds of birds, nature and the murmur of the flowing water, will awake your senses and invite you to relax and enjoy the rustic atmosphere. Main house: sleep max. 12 people - 4 bedroom, 4 en-suite bathroom, full house.